We are small town but big in heart! 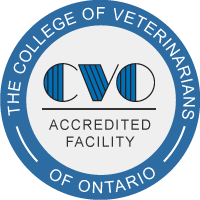 As your local veterinarian in Fonthill, we service Pelham, Welland, Thorold and the Niagara Region! Here you will find a deeply compassionate team who always takes the time to listen, has a gentle touch and a bottomless treat bowl! For us there is no greater compliment than to be entrusted with the care of your loyal friend. We welcome the opportunity to build a relationship with you and your pet, to earn your trust and be invited to be a part of your pet’s journey. “He is you friend, your partner, your defender, your dog. You are his life, his love, his leader. He will be yours faithful and true, to the last beat of his heart. Please take this opportunity to tour our facilities! *Open only occasional Saturday mornings.